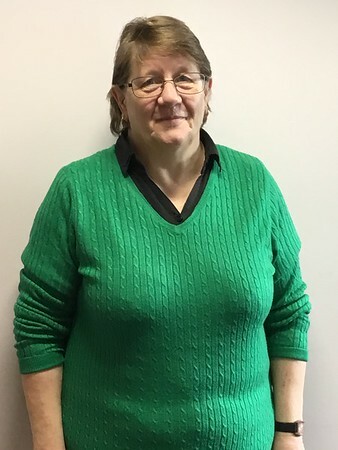 Christine Evans had worked at the Button Badge Company for an impressive 34 years before the company went into liquidation which unfortunately made Christine redundant from her Production Operative role back in May 2018. Christine was actively job seeking between May and September but was not getting any response from jobs she had applied to. She was referred to Vestia Training through her work coach at the local job centre to get support in securing work. She attended one of the recruitment sessions that they deliver each week at Kidderminster Job Centre. Christine was open to any help she could get and wanted to know how she could benefit. Following receiving the information at the recruitment session, Christine decided to take part in the 9 day Employability program also delivered by Vestia Training. Christine made good use of the support available, she completed the Employability course then moved onto two other courses, also delivered by Vestia; Digital Skills and Character Education receiving certification for all three. Two months later, Christine was fortunate enough to secure a part-time cleaner position with International Glazing Services (IGS) on a temporary contract. To date the contract has been extended as Christine has proved the value she adds to IGS. Christine is currently on a temporary contract with IGS but is hoping for a permanent contract in the near future. If you are looking for a job or have been out of work for a while, Vestia Employment Services can help. For more information, phone a Vestia Jobs Coach on 01562 733133 or email jobscoach@vestia.org.uk to take your first steps in getting into work.